How do some advertisers manage to break through and make personal connections with their audiences in today’s multi-tasking digital environment? Both brands and publishers are exploring the world of interactive video technology to help master this challenge and deliver more effective video campaigns. By eliminating the fixed, self-contained element of video and replacing it with more engaging features, brands can make consumers the participants of their own individualized experience. Interactive video, therefore, expands the capabilities of story-driven advertising. One company that’s embraced interactive video is Singapore Press Holdings. (SPH), a leading media organization in Asia. Its digital properties include over 25 news, financial, and lifestyle websites, in addition to 50+ mobile apps, each serving targeted markets. With a highly captive, brand-conscious, upwardly-mobile consumer base, SPH provides incredible access for advertising clients to engage with potential customers. SPH crafted a unique, interactive video campaign for long-standing advertiser, Courts, a leading electrical, IT, and furniture mega-retailer in Southeast Asia. Relying on Brightcove Video Cloud and implementing interactivity from HapYak, the SPH team created a story around a couple shopping for their home redecoration. The video pauses three times, offering viewers different options on what to do next—similar to a “Choose Your Own Adventure” book. The result was a smashing success. SPH was able to review metrics, including customer conversion, means of conversion, and traffic to Courts’ website, all through Brightcove and HapYak’s built-in measurement and analytics tools. With HapYak’s interactive technology, the commercial gave an episodic feel for viewers, highlighting Courts as an innovative, contemporary brand. In comparison to SPH’s other non-interactive videos, the Courts campaign boasted a 50% increase in viewing time. 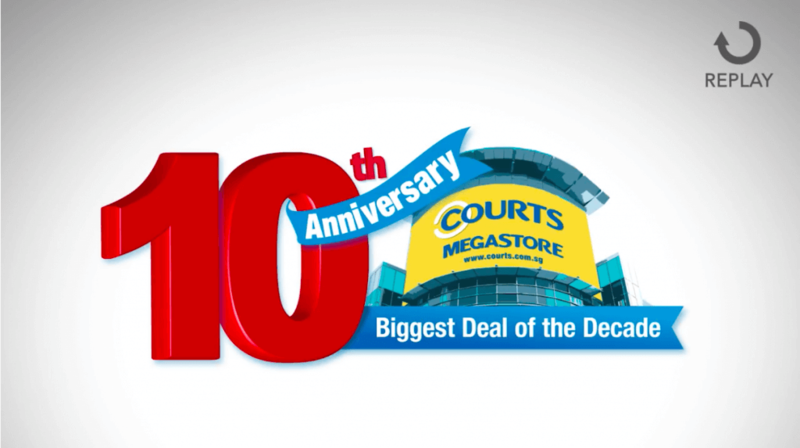 Not only did the increased engagement boost click-to-purchase rates; it also helped drive customers to the Courts brick-and-mortar megastore for its 10th anniversary celebration. See original blog post and case study by Joanne Aliber on Brightcove.com.